Baby Sukey is a variation on "Aunt Sukey's Choice." 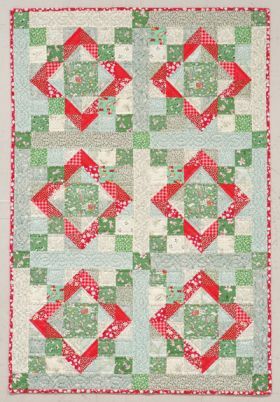 Each block's center square features '30s reproduction fabric, depicting the "Little Boy Blue" nursery rhyme. 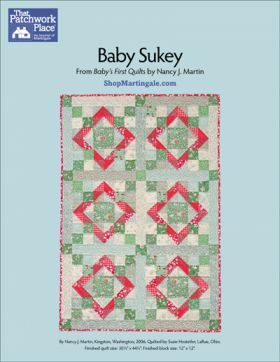 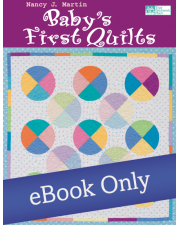 Additional reproduction prints in soft greens and rose make this a charming quilt for either a boy or girl. Finished size: 30½" x 44½"